Overhead utility relocation started on Wednesday, October 30th, and will be followed by excavation of the foundation near the trail. 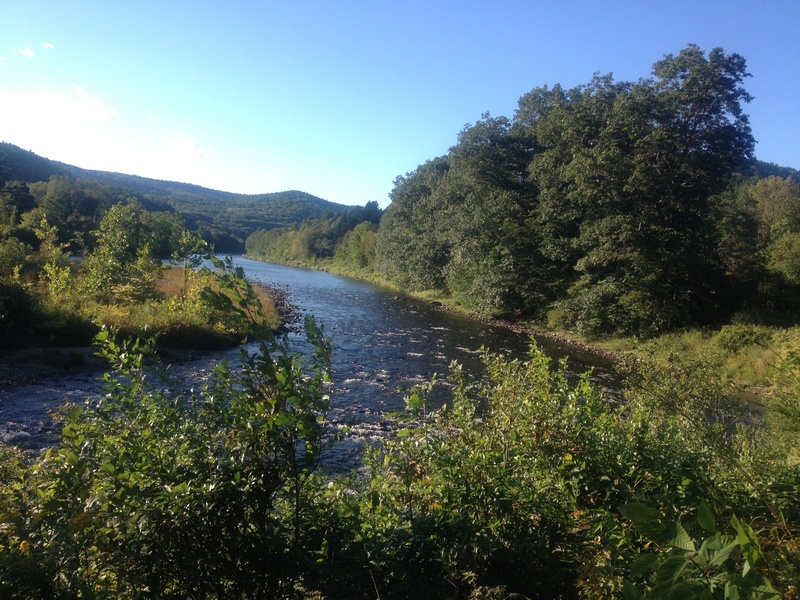 The trail from the Marina Trailhead to the I-91 bridges will be closed the remainder of the week of November 3rd and the following week, however, it will be open over the weekend. The Trail is open from the northern trailhead to a point just north of the bridge construction area. 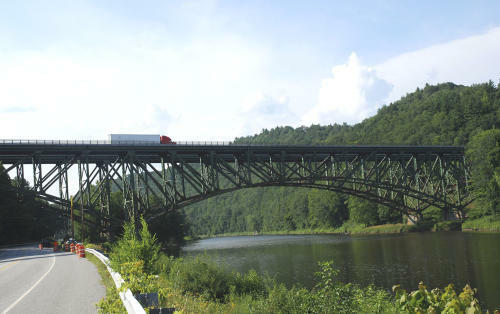 The northern trailhead access location is on Rice Farm Road, about a mile south of the Iron Bridge on Rt 30 in Dummerston. Signage at the Marina Trailhead and Rice Farm Road Trailhead will indicate current trail status. 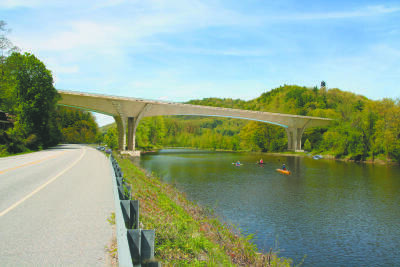 In addition, we will keep the project’s website (www.i91brattleborobridge.com) up-to-date on the current status of the trail. If you would like additional information, please contact Cindy Cook, Public Relations Officer, Adamant Accord, Inc. ccook@adamantaccord.com. 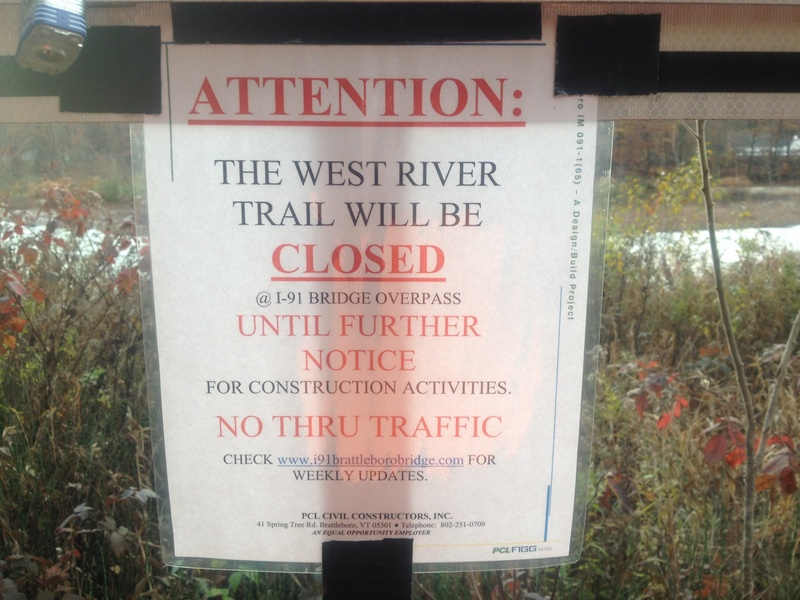 Truck activity on the West River Trail will continue for the week of October 13. 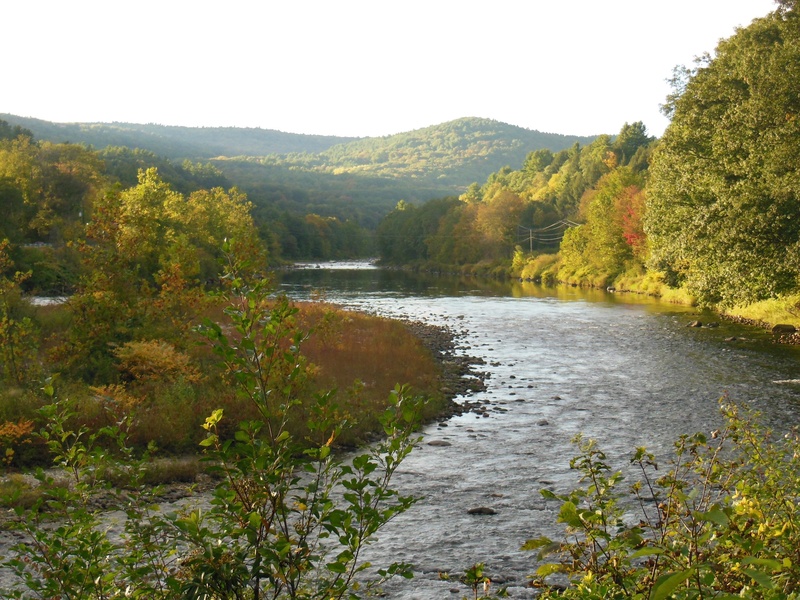 The trail from the I-91 bridges to the marina will be closed for all of the week of October 13. Through access will not be allowed from the north due to construction. The Trail is OPEN from the northern trailhead to a point just north of the bridge construction area. The northern trailhead access location is on Rice Farm Road, about a mile south of the Iron Bridge — look for iron chain across the trail, on the right side of the road. Truck activity on the West River Trail will continue for the week of October 6. Temporary widening of the trail for construction access will continue as well. 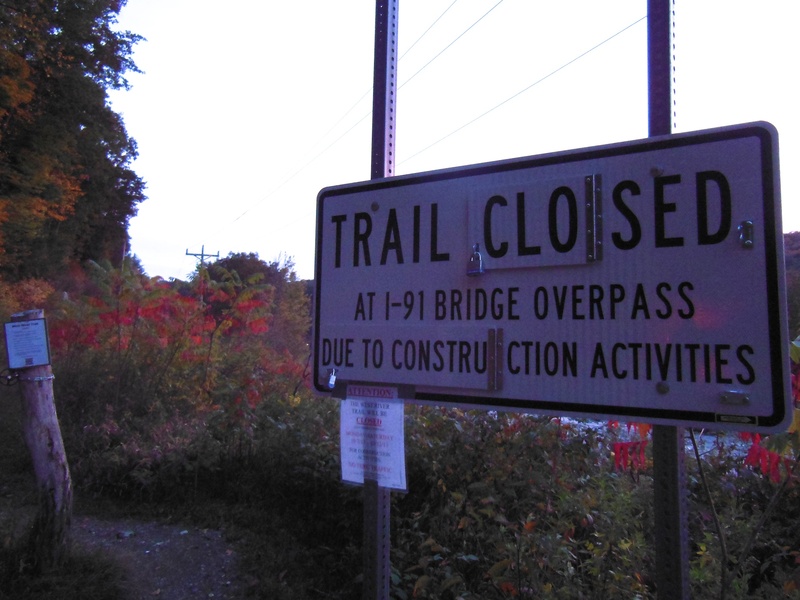 The trail from the I-91 bridges to the marina will be closed for the week of October 6. Through access will not be allowed from the north due to construction. Truck activity on the West River Trail will begin to increase next week. 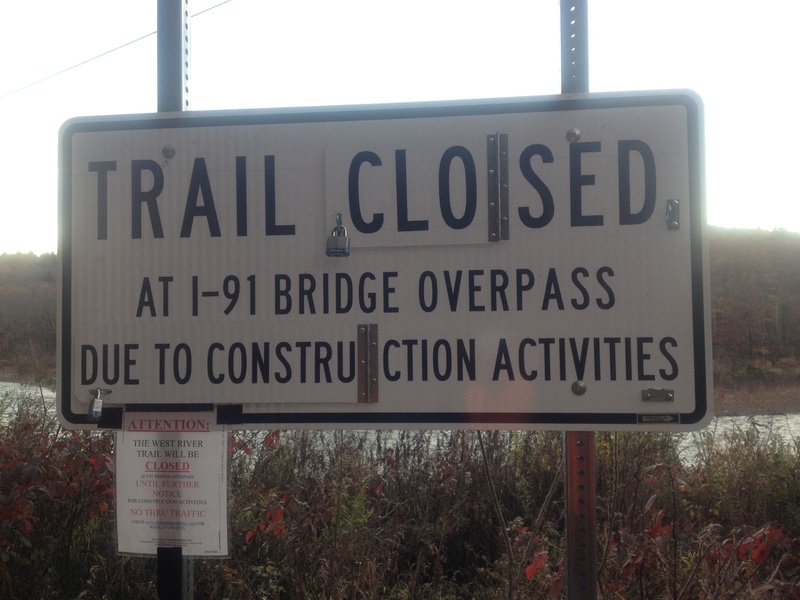 The trail from the I-91 Bridges to the Marina Trailhead will be closed all next week. Thru access will not be allowed from the north due to construction. Please note! On Wednesday, September 18th and Thursday, September 19th , the West River Trail from the Marina trailhead to the interstate bridge, will be closed while overgrowth is cleared.